Mallard’s unique pallet flow innovation- Extend-a-Rail and Extend-a-Rail HD provides a cost-effective solution for instant FIFO pallet flow rack storage where and when it’s needed. Extend-a-Rail delivers measurable productivity improvements and labor savings by reducing travel time. 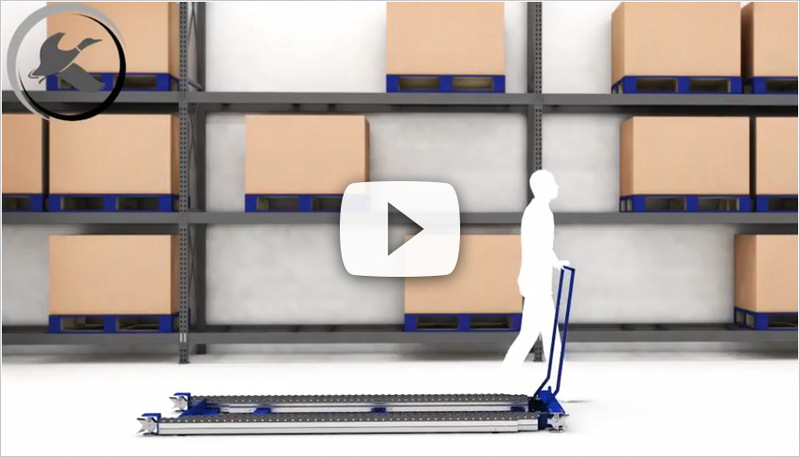 As you can see from the video animation above, Extend-a-Rail rolls into place as a compact, telescoping unit that expands into a dense, push-assisted pallet flow lane… up to 10 pallets deep! Once locked into place and fully extended, pallets are loaded on one end and walked/pushed along the durable wheeled tracks to the opposite end for forklift extraction. After all pallets are removed, the lane folds back into place for storage or to be moved to the next activity area. And a few more specs… Extend-a-Rail is designed to support individual pallets up to 900 lbs. 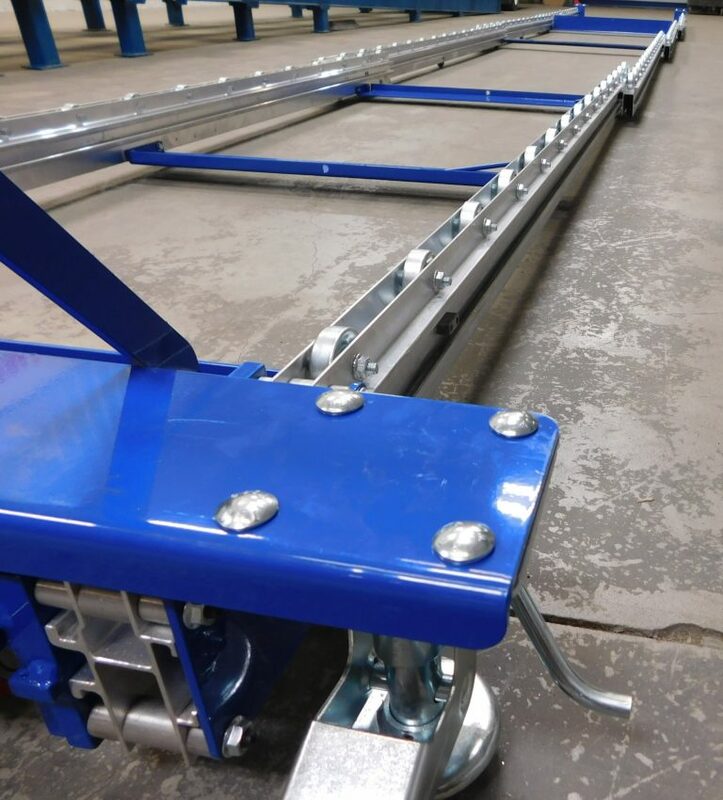 each on its steel skate wheel rails while Extend-a-Rail HD will accommodate pallets up to 2000 lbs. each on durable 2.9 diameter poly wheels. Both items are manufactured to Mallard’s strict standards to provide long life-time usage in busy warehouse conditions. We recommend GMA-style pallets such as PECO and CHEP pallets for the most effective optimization. Extend-a-Rail is simple to operate. Our engineering lab testing video gives you a great overview that you can use for training warehouse employees on proper use of this handy material handling tool. You can also download the Extend-a-Rail Spec Sheet for more information on this product but feel free to give the gravity flow team a call with questions or to request a demonstration.